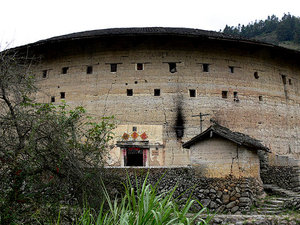 Chengqilou (承啟樓) nicknamed "the king of tulou", of Gaobei Tulou cluster 高北土樓群 at Gaobei Village (Gaotou Township) of Yongding County was built in 1709. 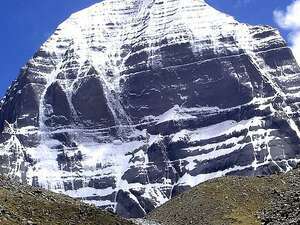 Inscribed as UNESCO World Heritage Site 1113-003 in 2008. 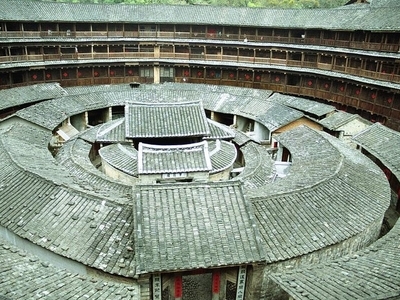 It is massive round tulou with four concentric rings surrounding an ancestral hall at the center, the outer ring is 62.6 metres in diameter and four storeys tall, 288 rooms, with 72 rooms on each level, circular corridor on 2nd to 4th floor, with four sets of staircases at cardinal points connecting ground to top floors. A large outward extending roof covers the main ring. 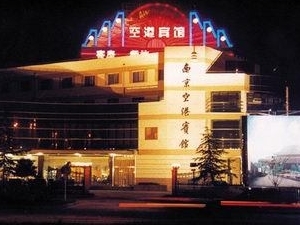 The ground floor rooms are kitchens for family branches, the second level rooms are grain storage rooms, and the 3rd and 4th floor rooms are living quarters and bedrooms. 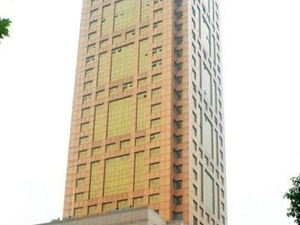 The second ring of 80 rooms is two storeys high, with 40 rooms on each level, the third ring served as community library, one storey with 32 rooms; there are 370 rooms in all. 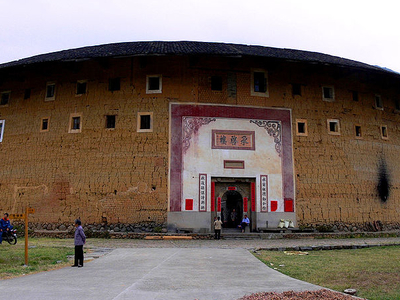 The 4th ring is a circular covered corridor surrounding the ancestral hall. If a person stayed for one night in each room, it would take him more than a year to go through all the rooms. 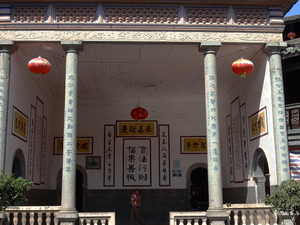 The ancestral hall is at the centre. 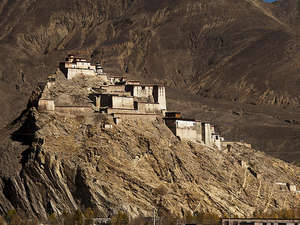 Chengqilou has two main gates and two side gates. 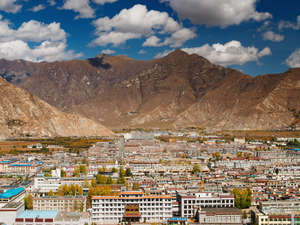 15th generation Jiang clan with 57 families and 300 people live here. 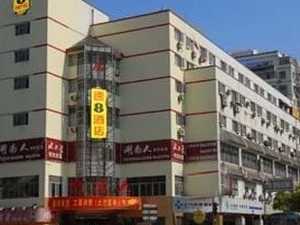 At its heyday, there were more than 80 family branches lived in Chengqilou. 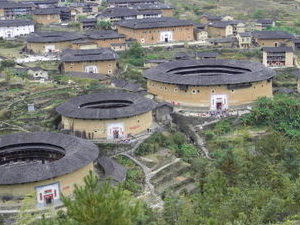 Other buildings in this cluster include: a three ring Shenyuanlou, outer ring 70m diameter; a Wujiaolou (pentagon) with irregular pentagonal floor plan and a rectangular tulou, the Shi-Ze lou.